Residential service, maintenance, repair and replacement. People turn to Bend Heating & Sheet Metal time and time again. And with good reason! We get the job done right…no matter what it takes. We’re so proud of our quality workmanship that we offer our customers a No-Risk 100% Money Back Guarantee. If you’re not 100% satisfied with our work, we’ll give you your money back. Your heating and cooling system is one of the biggest investments you’ll make in your home so you want to make sure you choose wisely. If you’re ready to consider a New Home Heating Systems, you can count on us to deliver the best product by well-known brands such as Carrier and Daikin. We won’t drop the ball after the install. Our job won’t end after the equipment is installed. We’ll help you get the maximum rebates, credits or incentives available for the Best Home Heating System you can afford. Our people are our greatest asset. 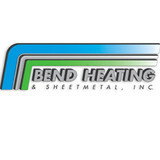 At Bend Heating & Cooling, our techs are a cut above the rest. Nobody else in the industry compares. Central Oregon Heating & Cooling is built on the premise that quality work and professionalism offered at a fair price results in satisfied customers. We continue our pledge to provide quality work, professionalism and fair prices to those who choose to use our services. We take our pledge very seriously. Our word is our reputation and that is the basis of our business and commitment to our customers. COHC recognizes that prompt service – in a properly equipped vehicle – is critical when something has gone wrong for you. Consequently, we provide Emergency service 24 hours a day 365 days a year for your entire HVAC system. When you call us, you will get a real, live person to talk to and a prompt response! 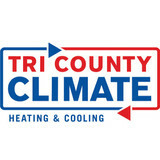 Tri County Climate - Over 13 years of quality installation and top-notch service in Bend, Redmond, Sunriver, LaPine, Sisters, Tumalo, and Prineville. Call us today for a free in-home, no pressure estimate. We will work with you to understand your heating and air conditioning needs and provide a written estimate with a range of options. Whether you are in the market for a furnace, air conditioner, heat pump, air handler, humidifier, mini-split system, humidifier, thermostat, or zoning, we will strive to provide you with the most cost-efficient and energy-friendly options. Olson Heating and Air is proud to be your local Coleman dealer. We install quality Coleman Heating and Air Conditioning equipment that is built right, right here in the USA. Not only can we show you how a new system can save you money and keep your home more comfortable, but we can keep it running reliably and efficiently for years to come. We can also show you how affordable it is with easy financing options. Our commitment to quality goes beyond our products - it is also reflected in our reputation for excellence and integrity. At Olson Heating and Air we feature the Coleman Affinity line that offers innovative features and stylish looks. Enjoy all of the Coleman Affinity technology including Coleman QuietDrive System which makes your unit virtually silent. For more than 30 years, Ponderosa Heating & Cooling has been providing homeowners and commercial property managers throughout Central Oregon with outstanding heating, cooling, and indoor air quality services. From comprehensive furnace repairs to complete air conditioning replacement to air duct cleaning, commercial HVAC maintenance, and more, they have the tools and training to tackle projects of all scopes and sizes. Their technicians undergo extensive training and rely on state-of-the-art tools and techniques in order to provide you with superior service every time. Ponderosa Heating & Cooling prioritizes your complete comfort. They make it their mission to provide top-quality heating and air conditioning services in Central Oregon, coupled with a truly unmatched level of customer care. They’re happy to work with you to meet your budget and scheduling needs, offering cost-effective solutions for homes and businesses throughout the area. The Ponderosa Heating & Cooling team services all makes and models of HVAC equipment, and is always available to assist you with your home comfort needs, 24 hours a day, 7 days a week. Get in touch with Ponderosa Heating & Cooling today to schedule your appointment or request a service quote! 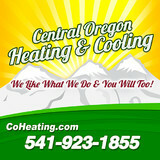 AccuAir Heating and Cooing is Central Oregon's original "Home of the FREE Service Call". That's right, FREE. We will send a certified technician to your home to listen to your concerns and offer you a solution to your heating & cooling problem, and we won't charge you a dime. Did I mention it's FREE? If you don't like the solutions we offer, you can send us away without spending a dime. That's right, it's FREE. If you DO like the solutions we offer, you can hire us to do the work and you only pay for the repairs. You don't pay unless we fix it. We understand that it is frustrating to pay a contractor to tell you what you already know: "It's broken…and it's gonna cost $$$ to fix it….plus my service fee". Don't let this happen to you…schedule your own FREE Service Call now. Icon Heating & Air, Inc.
Icon Heating & Air, Inc. prides itself on being the go-to choice for clients looking for Commercial HVAC, HVAC Repair and HVAC Maintenance services. Our business is our livelihood but it is also so much more. Icon Heating & Air, Inc. was started to fill in a void in the current market and to make a business that people can place their trust in. Over the years we have never lost our commitment to our clients and that is what has allowed us to succeed in a very competitive industry. The employees of Icon Heating & Air, Inc. stand committed to our purpose and will provide the best service! Since 1977, Bobcat & Sun has been providing Bend Oregon businesses and residences with the most comfortable and efficient heating systems available. Are you thinking of installing a solar heating system? As your local solar and radiant heating specialists, let us provide you with a free estimate for your home or business. 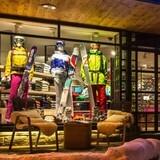 Three hundred days of sunshine every year are typical in Bend Oregon and the surrounding communities. Imagine having a morning shower and doing the dishes using solar heated hot water generated from the previous day of sunshine. You take off to work and so does your solar water heating system. It chugs along once the sun hits the collectors and keeps on running all day long. When you return home from work your solar storage tank is full of one hundred and fifty degree hot water heated by the sun. When you use your hot water that evening and into the next day, the solar storage tank refills with cold water and the cycle begins again automatically. The solar water heating system literally reduces your energy costs and you'll never run out of hot water again. This is tax free income in your pocket and it works for you every day. So the more hot water you use, the more you will save! Diversified Heating & Cooling, Inc. is proud to install and service quality American Standard products with service you can depend on. We pride ourselves in exceptional customer service. Call Diversified Heating & Cooling, Inc. to schedule a service appointment or for a free, no-obligation consultation with a certified technician to determine the perfect system for your home or business. Working only in the Bend Oregon area for local clients. Most flat rate service calls are $65.00 including diagnostics. All parts and additional labor is extra depending on the type of job. Please call me anytime so we can talk about options, solutions and costs. I am also available most weekends to help if necessary. Sometimes I can come to your home or business for a free consultation if requested. Thank you, Brian Larson. COMPREHENSIVE CARE TO PROMOTE HEALTHY, BEAUTIFUL SKIN. At our office, located in the Old Mill district, you will find a knowledgeable, friendly staff that provides a warm, welcoming environment. Dr. Leslie Carter, board certified dermatologist, Carrie Baxter, PA-C and our team of dedicated professionals offer a broad range of medical, surgical and cosmetic procedures, providing patients with unparalleled service. Our practice is committed to the mission of delivering personalized service along with ethical, skilled, comprehensive care to promote healthy, beautiful skin. We look forward to meeting you soon and providing for all of your skin care needs! Generally, Black Butte Ranch HVAC contractors or HVAC technicians work with or run companies that repair or install heating systems and air conditioning units for homes. But they have specialized services too. For example, if you are a wine collector and you are thinking of installing a wine cellar in your Black Butte Ranch, OR home, you might hire an Oregon HVAC professional who specializes in refrigeration work. HVAC professionals can use their skills to help you to save money on your Black Butte Ranch, OR home’s energy bills by installing radiant barriers in your attic or split-zone heating and cooling systems to heat rooms like solariums while cooling upstairs bedrooms during warmer temperatures. Find HVAC contractors on Houzz. Look in the Professionals section of our website and search for Oregon HVAC contractors. Read reviews and see how an HVAC contractor might approach your Black Butte Ranch, OR home’s heating and cooling challenges.